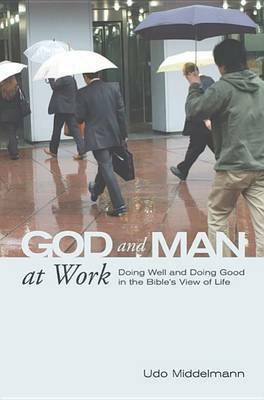 I wanted to let you know that my latest book God and Man at Work: Doing Well and Doing Good in the Bible’s View of Life is available from Wipf and Stock via wipfandstock.com/advancedsearch/search?search_type=keyword&keyword=udo&go_search_btn.x=14&go_search_btn.y=9. Now you can join us in thought and add to my reflections and comments where you can and would like to. I always appreciate hearing from you. A recording of Edith Schaeffer's second funeral service at the 1st Covenant Church in St. Paul, MN, on April 25 is now available for listening by navigating the Lectures (mp3 and video) link located to the left. Once there look for it at the top of the mp3 section. Below follows the full text of the sermon for Edith Schaeffer’s only funeral services she requested in writing. The first was in the village church of Gryon, Switzerland, on April 19th in both English and French. She had lived there for the past 13 years increasingly dependent on the care Deborah and I could give her with the help of people we were able to hire. The second funeral service was held, according to her request, by me at the 1st Covenant Church in St. Paul, MN, on April 25, followed by a graveside service attended by a large group of friends and family, in Rochester, MN. She is buried there next to her husband, Francis Schaeffer, who died in 1984. Edith Rachel Merritt Seville Schaeffer, your mother, grandmother, great grandmother and great- great grandmother, our mother - in - law and your friend died on March 30, 2013 in her home in Gryon, Switzerland, dressed in a new Ralph Lauren nightgown from Macy’s in NY, in clean sheets and in her own bed (as she had wished all her life). It was the night between Holy Friday and Holy Saturday, when many around the world are reminded of the cruel reality of death but also anticipate the resurrection, which made her, and makes us, wait for the return of Jesus Christ to deliver us from death. She had moved to Gryon 13 years ago to be surrounded by memories, her music, her son’s paintings and the detailed and increasingly complicated daily care, organized by her daughter Deborah. Edith Schaeffer was born on November 3, 1914 as the third daughter of Dr. George Hugh and Jessie Maude Seville in Wenzhou, China, where her parents, who were both highly educated people, ran a school for girls and taught in Mandarin all subjects including the Bible, and where her father preached in churches, some of which still exist today. Edith Schaeffer marked her life with the expression of rich ideas, being often rebellious against the staid and superficial life and routines she saw among Christians. The oldest sister became a communist in New York of the 30ies, the second eloped, before both, later in life, came back to believe in Christ and the truth of Christianity. Edith Seville married Francis August Schaeffer in 1935 and in no way was she the typical pastor’s or missionary wife. She turned her active mind to work with her husband, teaching seminary wives to think and to question, to create and make of life something of integrity, as her husband encouraged her to do. To put her husband through 3 years of seminary she tailored men’s suits, made ball room gowns and wedding dresses for private clients. From whole cow skins she made belts sold in New York stores. With very little money she prepared tasteful and varied meals. She painted a fresco on the ceiling of the vestibule in the little church her husband pastored in Grove City, while he attached a steeple to it with the elders’ help. They worked very closely together in each of the three parishes they occupied, in Chester and in Grove City, Pennsylvania, and in St. Louis, Missouri among people from many backgrounds and educational proficiency, including a large work with children of the community. She lived her life as a work of art, an exhibition of true significance and a portrait of a generous, stunning and creative personality. She always sought ways to draw on life’s opportunities to show that human beings are made for the enrichment of everyone’s life, for the encouragement of people and for honoring the creator with pleasure found in created things. Our world is full tragedy and broken hopes, and bones everywhere under the ground in what amounts to, as Dr. Schaeffer often pointed out, a giant graveyard. But her efforts to find, create and expand left-over beauty in a fallen world are a central part of the work she and her husband engaged in from the very start of their life together. She came to Europe and settled Switzerland with her family in 1948. She travelled with her husband to help churches from Finland to Portugal by teaching pastors and parents overcome both their post-war discouragement and doubt, and the inroads of Karl Barth’s existentialist theology which was destroying the confidence in the truthfulness and accuracy of God’s word, the Bible. When the family was evicted from the Canton of Valais for having had a religious influence in Champery, because the mayor had concluded that God, as told in the Bible, existed, many people all over Switzerland expressed their astonishment and made it possible for the family to stay and find a home in Huémoz. For years they welcomed anyone with questions about life and truth, first into their hospitable home for discussions, lectures and study of historic Christianity, and later into what then became a cluster of homes, which they called L’Abri. When she left the work of L’Abri after her husband’s death in 1984, and now living in Rochester, MN, where he is buried, she started the Francis A Schaeffer Foundation with Udo and Deborah Middelmann and others to safeguard his papers and to continue to work with the ideas that underlined their life, to make them available for a wider audience. She found people always interesting anywhere, engaged them in conversation and so met the most amazing individuals. She talked, for instance, with the author Andre Aciman, standing in a long line for tickets to a concert in NY and found out that he also had had our village doctor, Dr. Andre Gandur, as his pediatrician in Alexandria, Egypt. He was so grateful to be in touch again with his old doctor through the contact on the street in NY with Edith Schaeffer. Edith Schaeffer then, after the death of her husband 29 years ago, added a whole new chapter to her life. She continued to write books (there are 17 in all), lectured widely and returned twice to her place of birth in China. She investigated the making the Baby Grand Piano she had received as a gift at the Steinway factory in New York and presented “Forever Music” in a concert at Alice Tully Hall in New York with the Guarneri Quartet. Through Franz Mohr, the chief piano voicer at Steinway she came to know musicians like Rostropovich, the pianists Horowitz and Rudolph Serkin, the Cellists YoYo Ma and Ya Ya Ling, and also the guitarist Christopher Parkening. She organized concerts and elaborate receptions for musicians and friends in her home in Rochester, MN. When she met B. B. King at the International Jazz Festival in Montreux he gave her his pass to the evening’s concert and invited her backstage afterwards. Once on vacations on the island of Elba, the saxophonist Sonny Rollins noticed her beauty and rhythm in the audience as she danced to his music, came off the stage and danced with her. She did not see age as a reminder to slow down, or physical problems as signs from God to seek spiritual rest. Until a very few years ago she came along on summer vacations with children and grandchildren. When the stones and sand made walking more difficult, she still enjoyed three other visits to Italy: in Sienna with us one year and in a hotel on Elba with a grandchild during another. She even went to Portofino once more to stay in the hotel she and her husband loved, and went swimming at 91 in her beloved Mediterranean Sea. Even when experiencing macular degeneration, unable to read and write, and diminishing physical security and movement, her life still consisted of being driven to enjoy frequent concerts in St. Saphorin, in Ollon and La Tour-de-Peilz until last autumn. Just four months ago three men carried her in her wheelchair to the second floor of a Vevey movie theater to watch the latest Woody Allen film. She listened to books on tapes and laughed at familiar personages and chapters in books John Sandri, Lizbee Laughery and each of the ladies helping us read out loud to her; she danced until quite recently with Marie-Louise Corthesy in her living room to the music of Ella Fitzgerald, Louis Armstrong and Frank Sinatra, or played with a ball and beat the drums in the rhythm of the music. At night, wide awake and comfortably settled, she watched BBC Four TV for its concerts, its programs on history, geography and life on the British Island among different social classes, humorous programs and scandalous revelations. Last summer she still went with delight on eight boat trips on Lake Geneva, which she loved to do. She went to almost all birthday parties of our children and grandchildren, riding in her wheelchair anchored to the floor of a special vehicle, and opened stockings for Christmas with our family last year on her bed at Mon Abri. Every day she was given the orientation and security in familiar surroundings: her son’s paintings, her furniture, linen curtains and Peter Fretz’ bedspread, her Steinway Baby Grand Piano and the view of mountains and roofs out the open windows, her books and her music played at full volume. She loved bright lights, the curtains wide open, her familiar dishes and the colorful and fashionable clothes she continued to wear. She had perfume on her body and was properly dressed every day. She clung to life as a gift from God and always took a lively interest in conversations with our students and guests in Gryon, and with those children and grandchildren who came to visit her. In her hope and expectation she waited for Christ to return, rather than to die herself, so that, as the Bible promises, she and our generation would be part of those who do not have to die. The struggle along her life and for life reminds us all of God’s grief over every death, of Jesus’ sorrow when confronted with sickness and death, of the care of our creator when nature falls apart and bodies and minds no longer work. She wrote earlier on many occasions, and now chose often, against the notion that God is behind all manner of hardship. Jesus tells us of a purposeful creation, established with care for details and beauty, but now sadly cracked and wounded. He offers no resigned acceptance of sickness, age and death as human destiny, but demonstrates both moral outrage at these when we heals the sick, argues against false religions and the rules that hinder people from believing what God tells us in the Bible. Jesus Christ is furious at the death of Lazarus and drives out evil spirits and sickness. There is no fatalism in God’s word and no resignation in Jesus life, but confidence in the continuing work of God to save and redeem people and his creation. God made a wholesome and beautiful world, meant to be enjoyed in its materiality that expresses the delight of the Creator’s imagination and power. Though now severely wounded and spoiled it nevertheless is not denied or neglected. Men and women and children are only fully human in the wholeness of their minds, souls and bodies. The night before Edith Schaeffer died in her sleep, the night between Good Friday and Holy Saturday, she had received the Easter flowers we had sent, I had talked with her about the hope of the resurrection and reminded her of the Good News that God made us to live eternally. That night she “slipped into the nearer presence of Jesus”, her Lord, from whom she awaits the promised resurrection to continue her life on earth and to love, talk and dance once again with a body restored to wholeness. In a column written for a magazine some years ago Edith Schaeffer describes the first time she was invited to put on a mask attached to a floating oxygen pump in order to snorkel and see the world under the surface of the sea. “You have not seen anything yet. Wait until you see what is under the surface,” she was told. She had been perfectly satisfied with what she had seen above water and was sure she could not learn to breathe under water, and the mask they offered could probably not be trusted. A long discussion described the air producing machine. “All you have to do is put on the mask, jump in, swim under bit, then breathe naturally, and look around”. But a hesitancy, a holding back, a desire to spend more time examining the mask kept me in the world above water and kept me from ‘seeing’ what was being described for us in partial fashion about the world under water. Suddenly she decided to take the plunge. She had decided that the designer of the mask had prepared to open up wonders she could never see otherwise. Now it was time to swim and look. One moment before all she had seen was the blue undisturbed surface water as far as the eye could see. Her eyes could not have witnessed to the fact that anything was under the surface, except for the occasional fish someone had caught. But now a whole new world opened up, as different from the world above the water as anything one could imagine. Suddenly it was impossible to think of anything but the awesome marvel of purple fanlike plants, gently waving as in a breeze, light lavender plants with brown markings, beige lace leaves and frosty-mauve “pine trees”. Coral that looked like antelope antlers was alive with fish, deftly swimming in curves with all the grace of swooping birds through branches at twilight. Fish swimming in groups looked like a family reunion out for a time of exploring as they darted and then moved slowly between plants and rocks and coral. The variety of striped and spotted and divers-shaped fish was almost too exciting to stand. The ledges and sudden caverns had to be seen to be believed. Amazing fish of all sizes and colors, all shapes and shade combinations. Red and orange to bright yellow, green, blue, gray and purple, they were obviously leading busy lives. This scene had been going on before she suddenly saw it, her observation, discovery and understanding did not make it materialize. When we look through God’s word, the Bible, as a “mask and snorkel” we find also what we need for the present daily life in exciting real glimpses of what He means us to have now, moment by moment. We thank God for the provision of a ‘mask’ by the Creator of all things, God Himself, for the immediate moment. With increasing terror and violence, tragedy and evil we now see what otherwise could not be seen, and find comfort in God, our Heavenly Father, who has given us his word. It is like a snorkel and mask to discover things in whichever area it speaks, which we could not discover if we remained on the surface of the water. We can trust God’s word and look with excitement for the heavenly city described in Revelation 21 and 22. We are meant to ‘see’ through God’s word. With God’s word we do not have the wrong equipment, but can look with some measure of understanding at the wonders and troubles of the past, the present and the future history. With that mask we gain comfort and confidence in, and expectation of, God’s future work. With that mask it will become clear that death and any form or manifestation of evil is not part of God’s will or doing, that a human person was not meant to die and loose her body, but will live forever, at some time reunited as a resurrected, physical person. Jesus Christ, raised the third day, is the first of what God will powerfully accomplish in the eternal, resurrected life of his children. One day, God will let us find out what at present is outside of our field of vision, our sights, because our eyes have not yet seen or ears heard or the heart of man imagined. But with the masque God has given us in the Bible he has prepared to show us what more there is to the universe he created in perfection in the past and which he will one day restore together with the elimination of death. As J.S. Bach puts it in his first Cantata (BWV 4): It was a miraculous battle, when death and life wrestled; life there sustained the victory, it swallowed up death. The Scriptures had foretold this, how one death would devour the other; a mockery is become of death. Hallelujah! Edith Schaeffer describes her expectation that the same enjoyment she has had during her long life with people, things, places and ideas, made and ordered by God, will continue when Christ returns to earth to reign in righteousness and perfection. She was not longing to abandon life and get to heaven, to be reduced to a soul. Instead she longed to be freed from the brokenness of a body and mind, of a severely damaged world around her, from the tragic interruptions of a creative life and such sorrows which Christ also knew, and prayed with trust in God as a heavenly father to lead, comfort and encourage her and others in the present life, so that in the coming reign of Christ on earth her work would follow after and stand. This confidence is given from the explanations of the Bible, that book opens up, like a mask for snorkeling, a coherent understanding of the wider universe. It presents the loving creator who made people differently from all nature, and his passionate desire to restore us into his family as well as our lives and bodies into what human beings were created to be forever. According to the Bible, people are never alone and not emerging, then disappearing in the natural world. We are loved by God, wanted as people and designated for eternal life, which God will provide when death is finally swallowed up in the victory of Jesus Christ for our new life. The Bed-rock of our Confidence Almighty God, the framer of our bodies and the Father of our spirits. God’s ideas to create things and people lie behind our belief, and Edith Schaeffer’s, in and acceptance of God’s word. His existence alone can explain why there are things and people like us, who are not things like everything around us. It tells us about our place and purpose in this world, of human work and accomplishment and the rightful use of minds and hands, of the need to oppose wrong, ugliness and death itself, and to enjoy life in all its good dimensions. Love, work and effort, creativity, imagination, justice in private and public life, exploration and every artistic expression are mandated to continue forever and are rewarded, while death, hate and injustice are severely condemned and rejected. For that reason prophets spoke to correct error and wrong in Israel and to address genuine hope of God’s grace, love and power to restore a broken world in the future. To counter the evidence of the present rule of death, God’s word tells us that life continues after death in the same reality of one universe in the presence of God, where the living wait for the resurrection of their body and Christ’s reign on earth. Death as the consequence of Adam’s rebellion against God has not been part of God’s intention. He created life, not death, which is called by St. Paul “the last enemy” to be conquered. Its victory has been crushed, its sting will be removed. Edith Schaeffer believed in the existence of God the Father, Son and Holy Spirit and their fine creation of a good world. She knew of God’s frustration with what Adam’s believed, that he “could be like God”, but which lead to death and the falling apart of everything. But she also understood that God immediately set out to initiate the long process of repairing the damage. The promises were maintained. God’s people received verbal and immediate assurances and direction. Faithful people labored to express compassion, to seek and administer justice. The Messiah came and died to clean away our moral guilt. In the same way He will next come back to restore all of creation to what it was and should have been all along. The lamb and the lion will then be able to lie down together once again. Comfort and Assurance from the One True and Living God: 2nd Cor 1:3,4 Blessed be the God and Father of our Lord Jesus Christ, the Father of mercies and the God of all comfort; who comforts us in all our affliction that we may be able to comfort them that are in any affliction, through the comfort wherewith we ourselves are comforted John 11:25f I am the resurrection and the life; he that believes on me, though he die, yet shall he live; and whosoever lives and believes on me shall never die. Isaiah 48 :12ff Listen to me, O Jacob and Israel whom I called! I am he, I am the first and I am the last. My hands laid the foundations of the earth, and my right hand spread out the heavens, when I call to them they stand forth together….Draw near to me, hear this: from the beginning I have not spoken in secret, from the time it came to be I have been there. And now the Lord God has sent me, and His Spirit. John 14: 1 -3 Let not your hearts be troubled. Believe in God, believe also in me. In my father’s house are many rooms. If it were not so, would I have told you that I go to prepare a place for you? And if I go, I will come again and will take you to myself, that where I am you may be also. 2nd Cor 5:1,6-8 For we know that if the earthly house of our tabernacle, i.e. our body, be dissolved, we have a building from God, a house not made with hands, eternal in the heavens. We are therefore always of good courage and know that while we are in the body we are absent from the Lord (we now walk by faith, not by sight); we are of good courage, I say, and are willing rather to be absent from the body and to be at home with the Lord. Zech 8:4 There shall yet old men and old women dwell in the streets of Jerusalem, every man with his staff in his hand for very age. Isa 32:17 And the work of righteousness shall be peace; and the effect of righteousness quietness and confidence for ever. Isa 43:1-3 Fear not, for I have redeemed you: I have called you by your name, you are mine. When you pass through the waters I will be with you; and through the rivers, they shall not overflow you; when you walk through the fire, you shall not be burnt, nor will the flame kindle you. For I am the Lord, your God, the Holy One of Israel, your Savior. John 16:22 You have sorrow now, but I will see you again, and your hearts will rejoice, and no-one can take your joy away from you. Ps 23:4 Though I walk through the valley of the shadow of death I will fear no evil, for you are with me. Your staff will comfort me. You prepare for me a table in the presence of my enemies. Surely goodness and mercy shall follow me all the days of my life, and I shall dwell in the house of the Lord forever. Rom 8:38/9 I am persuaded that neither death nor life, nor angels nor principalities, nor things present, nor things to come, nor powers nor height nor depth nor any other creature shall be able to separate us from the love of God, which is in Christ Jesus our Lord. Ps 46:1-3 God is our refuge and our strength, a very present help in trouble. Therefore will we not fear, though the earth does change, and though the mountains be moved in the heart of the seas; Though the waters roar and are troubled, the mountains shake with the swelling waters. “I love you so much, I miss you. Greetings in the Lord Jesus Christ. I understand what you are going through this point of time due to the life journey of such a hero in Christ. I have been reading the history of this hero, so touching service for the Lord. The Lord will reward her accordingly (1 Peter 5:4), a golden promise of the crown of glory that will never fades away. She is one of the recipients. Edith Rachel Merritt Seville Schaeffer, may her soul rest in the Lord. Your tears, be tears of joy, for she ran well. She fought a good fight as apostle Paul puts it. As believers of Christ listen therefore, to the following words through the epistle of Paul to the Corinthians; "Now if Christ is proclaimed as raised from the dead, how can some of you say there is no resurrection of the dead? If there is no resurrection of the dead, then Christ has not been raised; and if Christ has not been raised, then our proclamation has been in vain and your faith has been in vain. We are even found to be misrepresenting God, because we testified of God that He raised Christ-whom He did not raised if it is true that the dead are not raised. For if the dead are not raised, then Christ has not been raised. If Christ has not been raised, your faith is futile and you are still in your sins. Then those also who have died in Christ have perished. If for this life only we have hoped in Christ, we are of all people most to be pitied. BUT in fact Christ has been raised from the dead, the first fruits of those who have died. For since death came through a human being, the resurrection of the dead has also come through a human being; for as all die in Adam, so all will be made alive in Christ. But each in his own order: Christ the first fruits, then at his coming those who belong to Christ. Then comes the end, when he hands over the kingdom to God the Father, after he has destroyed every ruler and every authority and power. For he must reign until he has put all his enemies under his feet. The last enemy to be destroyed is death. For "God has put all things in subjection under his feet." But when it says, "All things are put in subjection," it is plain that this does not include the one who put all things in subjection under him. When all things are subjected to him, then the Son himself will also be subjected to the one who put all things in subjection under him, so that God may be All in All." 1 Cor. 15:12-28. Death has been swallowed up in victory. Thanks be to God who gives us victory through his Son Jesus Christ. Edith Rachel Merritt Seville Schaeffer have slept in Christ The Lord, will be raised to life everlasting. Just think about the coincidence of her death and the day when we were just remembering the death of our Lord Jesus Christ. This is wonderful. May her soul rest in eternal peace. I and Rosie my wife cannot make it to join you in person on the two funeral services 19 and 25 of April and the burial, but will remember you in our prayers. May God strengthen your faith till Christ comes again. Over the last two weeks since the death of Edith Schaeffer someone has deliberately sent out false information repeatedly without checking it against the funeral arrangements she herself requested over 8 years ago. Her specific requests were written down by her son Frank Schaeffer and sent out to each of her children. She requested two funeral services led by her pastor Udo Middelmann. The first one will be in Gryon, Switzerland, where she lived for the past 13 years, on April 19, 2013 at 2 PM. Edith and Francis Schaeffer lived most of their lives in Switzerland after they arrived there in 1948: One year in Lausanne, 6 years in Champéry, 16 years in Huémoz, then 13 years in Villars-Chesieres. The second funeral service requested by Edith Schaeffer will led by Rev. Udo Middelmann for all her friends on the American continent, who wish to honor her. Both services are of course open to all her family and friends. These are the only services she requested. The funeral service in America will be at 1st Covenant Church of St. Paul, MN (1280 Arcade Street, St. Paul, MN) at 11:45 AM on Thursday, April 25 as she requested in the same letter. Allowing for driving to Rochester afterwards, all are welcome after the funeral service to come to the brief graveside ceremony, where her body will be buried next to her husband’s in Oakwood Cemetery in Rochester, MN, as she promised Francis Schaeffer before he died in 1984. Mrs. Edith Rachel Merritt Seville Schaeffer, born in Wenchow, China on November 3, 1914, died in her home in Gryon, Switzerland, the night of Good Friday to Holy Saturday March 29/30, 2013. Contrary to erroneous reports she had lived in her lovely chalet built in 1683 in Gryon for 13 years, where she longed to live and die, surrounded with the beloved witnesses of her rich life: her Steinway baby grand Piano, her dozens of paintings by her son Frank, her gorgeous antiques and linen drapes, known by her friends in Rochester MN as she entertained them in her home there, “The Old Orchard”, for 17 years. There will be a funeral service on April 19th at 2 pm, open to all, in Gryon, Switzerland, where she lived a full life for the last 13 years of her life after she moved from Rochester MN. This will give her European friends a service to honor her and her 65 years of living mostly in Switzerland: one year in Lausanne, six years in Champery, and fifteen years in Huémoz, thirteen years in Chesieres/Villars, followed by seventeen years in Rochester MN. During those years she rented an apartment by the Lake Leman in Vevey, Switzerland. The final thirteen years she lived in Gryon. There will also be a funeral service in Rochester MN on April 25 at 2 PM. Everyone is heartily welcome. After her husband’s death in 1984 she became acquainted with Franz Mohr, piano voicer for Steinway in New York, and through him had the deep joy of knowing van Cliburn, Vladimir Horowitz, Rudolph Serkin and Peter Serkin, Christopher Parkening , Rostroprovitch, Yo Yo Mah and others. She so enjoyed writing a book “Forever Music” and having a concert at Alice Tully Hall, Lincoln Center, NY to open the book with a concert by the Guarneri Quartet. She continued during her last years in Switzerland to go to almost weekly concerts, numerous boat rides on the lake, travel to Italy every year until three years ago and to return several times to NY. We rejoice at her passion for life, her deep enjoyment of people whether Horowitz or a NY taxi driver, her close attention to detail, whether in sewing stunning clothes for herself, making flower arrangements, or decorating her house, creating elaborate receptions in her home until the age of 88, and her enjoyment of music, whether J.S. Bach, Eric Clapton or B.B. King, going to films, especially Woody Allen, and indeed beauty in all its forms. She will be sorely missed by even the youngest of our grandchildren, 2 - year old Seraphine, as she so enjoyed going to birthday parties, watching the children play, and even last year being pulled on a special wagon to take people in wheelchairs behind a miniature steam train by the her beloved lake in Switzerland together with a grandson of ours, Benjamin. She was a great sport! “La chaim” until the Messiah comes, Mummy! The funeral for Edith Schaeffer will be on April 19th at 2 PM in the church in Gryon, Switzerland, where she has lived and made her home for the past 13 years. She was a member of the church her husband and I pastured together in Switzerland. The service in Gryon will be the public funeral for her and in her honor, and everyone is invited to attend and to express their love and appreciation afterwards in the reception immediately following. On April 25 at 1 PM there will be a service at the graveside in Rochester, Minnesota, to lay her body next to her husband’s, as they had promised to each other. Everyone is welcome to join in a tribute to honor Edith Schaeffer, whom we know as a generous, creative, loving, knowledgeable and wise person. In no way would Edith Schaeffer want either service to be private. At her request, which Frank Schaeffer wrote down eight years ago, I shall conduct and preach at both services as her pastor, which she considered me to be after her husband’s death. Even when she was unable to leave her home in recent months I had church with her and others regularly and served communion to them in her own home. There may be a number of memorial services in the weeks and months ahead in different locations held for Edith Schaeffer. She was a generous person in all things and richly deserves to be remembered by many now and in years to come. These, however, are not part of the funeral arrangements Edith Schaeffer made for her own death. We are very thankful to God for the life and work of Edith Schaeffer. I attach the eulogy Eulogy I sent out earlier, just in case you may not have seen it before. In the place of flowers we invite you to contribute to the work of The Francis A. Schaeffer Foundation, which she started in 1988 and which continues her and her husband’s ideas and interests. The Swiss Address is Chalet Mon Abri, Jermintin 2, CH-1882 Gryon. In Switzerland the bank connection is Banque Cantonale Vaudoise, Villars. IBAN CH0500767000Z09239242. Edith Rachel Merritt Seville Schaeffer died on March 30, 2013 at home in Gryon, Switzerland. She moved there 13 years ago, surrounded by memories, her music, her son’s paintings and the detailed care organized daily by her daughter Deborah Middelmann. She was the third daughter of Dr. George and Jessie Seville in Wenchau, China, who ran a school for girls and taught the Bible in Mandarin. Each of the three daughters rejected the superficial life among many Christians. Edith’s oldest sister became a communist in New York of the 30ies, the second eloped. Edith Seville married Francis August Schaeffer in 1935 and never was the typical pastor’s or missionary wife. She worked with her husband, as he wanted her to, teaching seminary wives and others to question, to create and make of life something with integrity. To put her husband through 3 years of seminary she tailored men’s suits, made ballroom gowns and wedding dresses. From cow skins she made belts sold in New York stores. With little money she prepared tasteful, varied meals. She painted a fresco in the vestibule of the church her husband pastored in Grove City. They lectured together and urged people to understand what they believed and to analyze the surrounding intellectual and cultural ideas. They taught in churches and university halls from Finland to Portugal that Christianity is the truth of the universe, not a personal faith. She lived her life as a work of art, a portrait of true significance in a stunning and creative personality. She drew on life’s opportunities to show that human beings are made for the enrichment of everyone’s life. With her husband she engaged in this work right from the start of their life together. She was in all things generous. Royalties from her 17 books paid for annual reunions with the four children and their families for the benefit of cousins knowing one another. She left the work of L’Abri after her husband’s death and started the Francis A Schaeffer Foundation with Udo and Deborah Middelmann to continue the ideas that underline their life, to make them available for a wider audience. She found interesting people anywhere and easily engaged them in conversation. She met the author Andre Aciman in line for tickets to Carnegie Hall in NY and discovered that he had her village doctor, Dr. Gandur, for his pediatrician in Alexandria, Egypt. Gratefully he got in touch again with his old doctor. After the death of her husband in 1984 Edith Schaeffer added a whole new chapter, writing books, lecturing widely. Twice she returned to her birthplace in China. She presented “Forever Music” at Alice Tully Hall in New York with the Guarneri Quartet. Through Steinway’s chief piano voicer she came to know musicians like Rostropovich, Horowitz and Rudoph Serkin, YoYo Ma and Ya Ya Ling, and Christopher Parkening. She met B. B. King at a Jazz Festival, who gave her his pass to the evening’s concert. On the island of Elba, Sonny Rollins noticed her beauty and rhythm as she danced during his concert, came off the stage and danced with her. sin and the power of death. hope for the Lord's coming in repeated annual seasons of Advent. eternal relationship between the Three Persons of the Godhead. The final Sunday of the liturgical year is named “Christ the King”. all times: Come, Lord Jesus, Come! Let us then wait expectantly for what lies ahead. Merry Christmas to you each. The 2012 Autumn edition of footnotes has been posted. Under the "Thoughts from Udo" section, please look for a paper that was presented by Udo at the LCC International University in Klaipeda, Lithuania. Over 700 students attend from several of the countries formerly associated with the Soviet Union. It deals with the present consideration of open borders, shifting barriers and weakened boundaries in various areas of life and thought. Also, five lectures of the series Udo taught at Madison Avenue Presbyterian Church in New York, NY last fall entitled "The Real and the Ideal : the Dangers of Utopianism" have been recorded and are up for you to view in the video section. We hope you find Udo's treatment of utopian thought not only interesting, but also revealing. For the meaning of utopia changed and has become very acceptable in modern idealism, both political and personal. I am happy to let you know that a reprint of Edith Schaeffer’s wonderful study “Christianity is Jewish” has come out as a reprint, now with an introduction by me to situate the book in her life and thought, after not having been available for several years. It can be ordered from Wipf and Stock Publishers in Eurgene,OR. In addition, you may have heard that my former publisher has given up its publishing of individual authors and handed them to InterVarsity Press. I am delighted with that decision and hope that through IVP the books will have a new audience or readership among a public that is to a greater extend very much on that more thoughtful wavelength. History needn't have been like that"
"Neither Necessary nor Inevitable: History needn't have been like that" reminds us of the fact that we are not pushed along in our life by determining forces in the past, either genetic, historic, scientific or divine, but that we have real choices within the limiting context inherited from the past choices of other people. This emphasis on creativity, responsibility and true human significance contradicts all efforts to simply approve of the way things happen, as if they were inevitable. Unfortunately, even the Christian community has become largely fatalistic, this time under God, as Greek philosophy, Islam, Marxism and scientific determinism have held for a long time. I want us to recognize our freedom and become more responsible in our choices. Historic determinism is a convenient way to tie up the uncomfortable loose ends in the tragic lives of millions and to explain, at the same time, the exceptional opportunities of many of the rest of us. A belief that in an inevitable chain of events or the will of God, or destiny, of historic necessity suggest a formula to justify each situation as inevitable. Here history is seen like a single track, on which people ride in different cultural coaches In the same direction. Every stop, every departure is part of a natural schedule. It readily leads to resignation for many and arrogance for the lucky. Neither Necessary nor Inevitable argues and illustrates that such attention to the sirens of retrospective determinism gives a false sense of security and a freedom from responsibility. When history swallows the importance of people’s choices, inalienable rights become inalienable conditions. 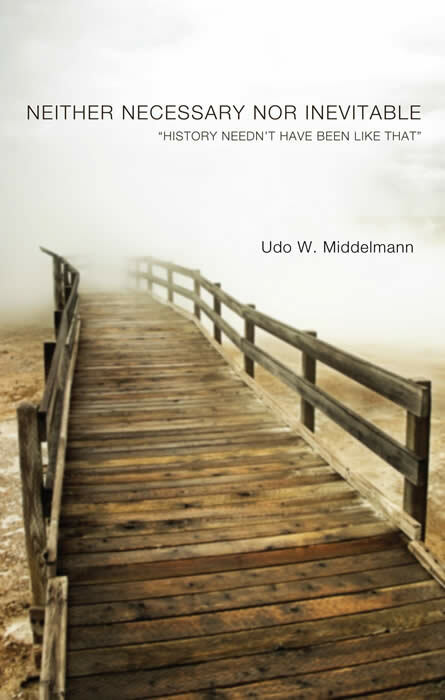 In Neither Necessary nor Inevitable, Udo Middelmann argues that while written history may tell a story of choice and consequences in a tight mesh, living history is a result of genuine choices, which render the record too chaotic to support the belief in a controlling master plan of material or divine intention. Instead we each lay down our cultural tracks with personally significant choices. Turns and stops are not inevitable, and each choice affects the course of history for generations. Responsibility is not reduced by the belief in a necessary history or a willful God. New Foot Notes Published as of November 30th 2010. I want to start by expressing my gratitude for those of you who have helped us with your gifts and contributions. They encourage us as well as pay the bills. We continue with our seminars and discussions among friends, students and those who find their way to us. Our time in NY ends in December. We shall once again live in Gryon and work from there. Our immediate plans involve a seminary in Germany, a Pastors’ Conference for French pastors, a session with journalists on a Biblical view of the world and writing a curriculum for teaching about work, society and truth in competing cultures. Please continue to pray for and to help us in any way you wish. The dates of our Summer Study Program in Gryon, Switzerland, will be posted in early 2011 on the Schaeffer Foundation Web site. New Foot Notes Published as of September 8th 2010. Following the invitation of The King’s College in New York to be an Visiting Professor in Philosophy much of the first three month until late March and from September on were spent in New York. I thoroughly enjoyed the challenge, the learning and teaching experience, the exposure to a more formal academic world and the interaction with bright and inquisitive students. I will return there for the fall semester of 2010. What follows after that is an open question. During the remaining months, from April to August inclusive, I continued the patterns of previous years and lectured, and wrote from Gryon. The months cruelly interrupted by two rushed visits to Sweden for our Board Member Staffan Johansson, who died at the end of the year from an insufficiently treated brain tumor. Whether from neglect or by social dictate, he never received the treatment he would and should have received in other circumstances. One week in early April was taken with a course for young pastors and church workers on “Postmodernism” at the Geneva Bible Institute. Several engagements in the German Church of Vevey firmed up our contact there. I am a member of their Board, as it is an association endowed by the Jenisch family and now seeks to protect itself from the negative influence of the State Church, to which it belongs, both theologically and financially. I preach there from time to time and had the delight of baptizing a young German woman in the context of that congregation. I led a long weekend seminar again in Germany in May. A group of German Christians and their friends gathered for the third time for lectures and discussions around a Biblical theme in Giessen. This has become an annual event, always with much stimulation and giving me encouragement. Our summer study program consisted of two sessions. We hosted nine students from King’s College to expose them to a wider view of things, make them think through some of the ‘positions’ they embrace or are worried about. They came back from a study trip through Albania, which gave us much material to discuss and explore: the remnants of Marxism, totalitarianism and of course also the influence of Islam on society. In the second session we had students from Norway, the US and Germany. We also took part in a week’s study by a group of students from Kentucky, who arrived with their professor to consider romantic poetry in Switzerland. I gave a lecture on local history and the influence of the reformation, Deborah lectured on the local author C.F. Ramuz and his view of land, mountains and god/fate. One of his works, “The Day The Mountain Fell”, is set right above us at the end of the valley. I preached several times during the summer months, first in Lausanne at the International Evangelical Church and then also at The Chapel in Leysin, both about an hour from our home. Each time I tool our students and guests along to expose them to a wider group of Christians. Over the Christmas season we again returned to Champery for the traditional Christmas Eve service. This year the church was completely packed with English, Dutch, German and Americans. Our friend Dolly Johnson was able to play the organ for us as in previous years. It was a great delight and honor to read the texts and sing the carols and preach about the gift of God in Jesus Christ. In addition, we published two issues of FOOTNOTES during the year and a couple of longer letters. They are mailed to 750 addresses as hard copies and to 539 addresses electronically. I wrote a further manuscript with the working title” History did not have to happen this way” and have submitted it to several publishing houses. I am also writing up my Russian lectures to possibly turn them into a book. I contributed to a book on Francis Schaeffer and offered an article on Nature and Culture to the L. Russ Bush Festschrift, to be published in 2010. The house “Mon Abri” in Gryon has four apartments, of which one is rented to Edith Schaeffer during the whole year. We take care of her pretty much alone, find and hire people to help us in this demanding task. Another apartment other is rented during the winter months, when we do not have students, to a gentleman from Lausanne for additional income to cover the cost of taxes, utilities and services. Please continue to pray for our work. Finances are very tight, as they are in many works this year. Give thanks to God to have made possible what we have been able to accomplish in the lives of the various people He sent our way during the year. I wanted you to know how much we enjoy this year’s guests and students. Deborah and I returned from New York at the end of May to spend the summer in Gryon. We now are in the midst of our summer study session, which will last into August. This particular session is in many ways quite unusual. Among the students is one of my translators from the seminars I used to teach in Russia from 1991 to 1997. Ola is an English teacher at a police academy in the formerly forbidden city of Omsk and is with us again after her first studies with us 11 years ago. It is a pleasure to see her again and to help her in her struggles with isolation, as she is surrounded by people with old communist habits and manners in her work and unthinking Christians in her private life. Phuong has joined us for one month from Vietnam, where she helps good friends of ours in DaNang. They organize seminars on business habits, human resource development, business plans, habits and organization from the perspective of a Biblical view of the person, the dignity of work, accuracy in accounting etc. My friends have been there for the past three or four years, now they wanted Phuong, who is a very bright young Christian, but without much formal learning outside of Marxist economics, to be here, to learn and to find answers to her many questions. Calvin from Singapore finished his law studies in Oxford and is on his way back home. He heard about us from his father, who spent a few days with us 26 years ago. Calvin is delightful, sharp, sensitive and full of helpful insights in our discussions around the long mealtimes. We have long conversations about society, law and the distinction between a more Biblical foundation for society and the Confucian values. Daryl is from England and found us on the web site. She is an actress, a delightful person with a sense of humor bundled into good insights. She came to talk with us, to be encouraged, to be in a Christian context for a while. It is such a pleasure to get to know her and to be able to help her. Azy was a student of mine two years ago, spent three weeks with us last year to study and has come back to help us with the care for Edith Schaeffer for the next three months. That has been mostly our exclusive responsibility for the past five years, and it is not easy to arrange her life, see to her care, to supervise various hired people with different tasks: ladies from the social services come to bath and dress her, a neighbor visits four afternoons a week to read, talk and have tea, and Azy is the one who now is there for the remainder of each day: all in an effort to give Edith as valuable a life as possible. With much effort we push her wheelchair to our lunch table, so that our conversation with our students and guests can stimulate her as well; after all, talking with people has been her whole life. She seems to then become much more alert for a time. On Sunday we all went to church in Leysin and met with people from the church over coffee and croissants afterwards. I preach there from time to time and always enjoy the reaction and blessing of the people there. Please pray for and with us, especially that we might find another person who can truly step in when Azy has to leave at the end of September. Debby hopes to spend the autumn semester with me when I teach again, this time for just the fall semester, at The King’s College in NY. For that I am preparing a course on Theories of Social Justice. I shall start with Plato’s search for order in an ideal society as described in “The Republic”, work through various utopian models that never worked and then spend time with propositions of more recent years: Marxism, Liberation Theology and our present form of –is it once again? – quasi-unlimited capitalism. The absence of moral conviction invites more government intervention through regulations. It is a case, so it seems to me, that when the Christian moral obligation to my “socii” (Latin: ‘fellows, neighbors’) is either neglected or left to cases of individual charity, government will step in with one or the other social policy to make the individual pay for social realities. And government is not the most efficient or value-neutral institution in favor of individual human beings. I send this to have you be a part of the work at the moment, to give you a moment’s insight and to share with you the joy and wonder of times and conversation with very interested and interesting people. With warm greetings and thanks for your prayer and support and encouragement. I admit that before Mike Bellah invited me to lunch at an Amarillo restaurant, I knew nothing about Udo Middelmann. I did know a lot about Middelmann's father-in-law. Bellah, a colleague at Amarillo College, knew I have an interest in Christian writers and thinkers, so I got to be one of about 15 people who met Middelmann and heard him speak at a noon session last week. The German native, born in 1940, lives in New York City and has credentials of his own. He has written several books, including "The Innocence of God," published in 2007. He has worked with Food for the Hungry and lectures around the world, including at King's College, housed in the Empire State Building. But that father-in-law? 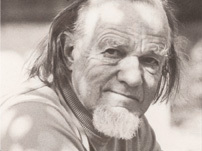 Francis Schaeffer. Schaeffer, who died in 1984, probably was the 20th century's second most renowned intellectual defender of Christianity after C.S. Lewis. In 1955, the American pastor and his wife, Edith, started L'Abri Fellowship in Switzerland, which became a communal place of Christian study and continues around the world today. Middelmann was one of the seekers who went to L'Abri; he ended up marrying the Schaeffers' daughter, Debbie. Now he speaks out on topics including how the Haiti earthquake certainly was not orchestrated by God and how humans are not at the mercy of an unchangeable world. He applies the latter philosophy in his 2008 Book, "Christianity vs. 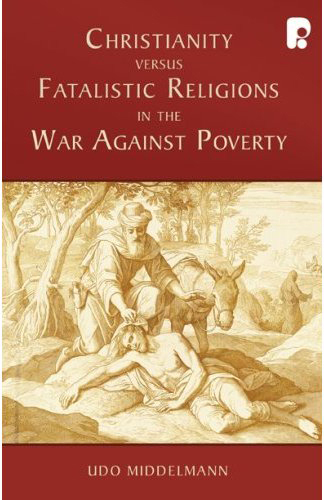 Fatalistic Religions in the War Against Poverty." Last week, he said that unlike other philosophies that assume we have to "go with the flow" and exist as pawns to be battered about on Earth, we can influence events. He said the poor and helpless need our help but that distribution of material aid isn't enough. We need to provide ideas, he said, that enable people to change the cycles of life that contribute to generation after generation of suffering and violence. And those ideas come from God's word. "We understand God's will not by what happens, but by what he says about what happens," Middelmann told our group. "God created an unfinished world," Middelmann said, and although he sometimes intervenes in that world, part of the job of Christians is to improve things while we are here. Middelmann has been to Amarillo several times, and he has good friends in the area. The "Footnotes" newsletter that he writes as president of the Francis A. Schaeffer Foundation even has an Amarillo return address. There's a lot more Christian work and Christian thought going on here than we see in our pulpits and in the news. that death takes away what God had meant to be here forever. insight and wit to appeal to. Most literature and many aid efforts concerned with poverty relief and development function on mathematical assumptions. Those who have more should share with those who have less, thus creating equality. Some would add a moral component saying that those having more are morally wrong and must have gained their surplus from outright theft or unfair trade. But on the side of the needy, religious and secular efforts see only a material problem. Both neglect the devastating power of bad ideas based in religion and social customs. Yet what anyone believes about the building blocks of life will have results; their ideas are like eye glasses that either distort or bring into focus an objective reality. Development work must focus on developing people's ideas. Cultural change must precede material changes. The horrors of the 20th century demonstrate the failure of secular and religious ideologies to answer the important questions of life. Is this God’s doing or is he absent, indifferent, or nonexistent? Does our experience of history leave us in an intellectually and morally vacant universe? What, in the face of human tragedy, are sensible answers about life, death, and the existence and character of God? Are we merely playing chess with the Grim Reaper, only to gain time? The manner in which religious and biblical texts are applied often leaves us with an unjust and irrational God, leading to ideas of alienation and estrangement. The world is manifestly unjust, the human condition essentially tragic. Many believe they can endure this only by abandoning reason and religion, a choice between arrogance and resignation.Yet the deepest concerns of humanity persist. 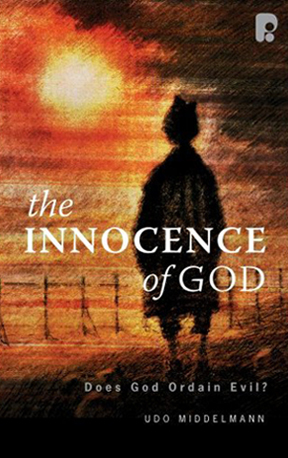 Instead of blaming God or his absence The Innocence of God presents a startling catalyst for thoughtful dialogue. The God of Judaism and Christianity is not accused of immoral sovereignty or of divine weakness. He works and invites us to work against the flow of history with moral clarity and passion to repair in time a damaged world, a world he deeply loves.